In my last post I took a brief look at this year’s Innovative Products competition. The winners along with the 1st, 2nd, and even 3rd runner up in each category have been announced. All of the products will be on display for the duration of the show. There’s an accompanying booklet covering all of these products complete with descriptive notes. It really is a great time of the year although so very busy. Right after the official opening on Wednesday morning 16 March, at 10.30 the awards presentation for the 15th IBDC will take place. More on this in a future post. 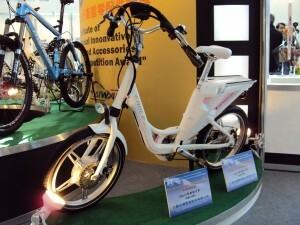 After lunch, Part 1 of this year’s International Bicycle Trend Forum will be held. The focus will be on promoting a cycling culture. The speakers have all enthusiastically advocated and supported the development of this culture for many, many years. Tim Blumenthal, President of the Bikes Belong Coalition will be speaking alonside Giant’s Chairman King Liu and Tony Lo, Chairman of the Taiwan Bicycle Exporters Association, Song-Jiang Sui, Senior Consultant of China Bicycle Association and Michael Tseng, Merida President and Chairman of the A-Team group. 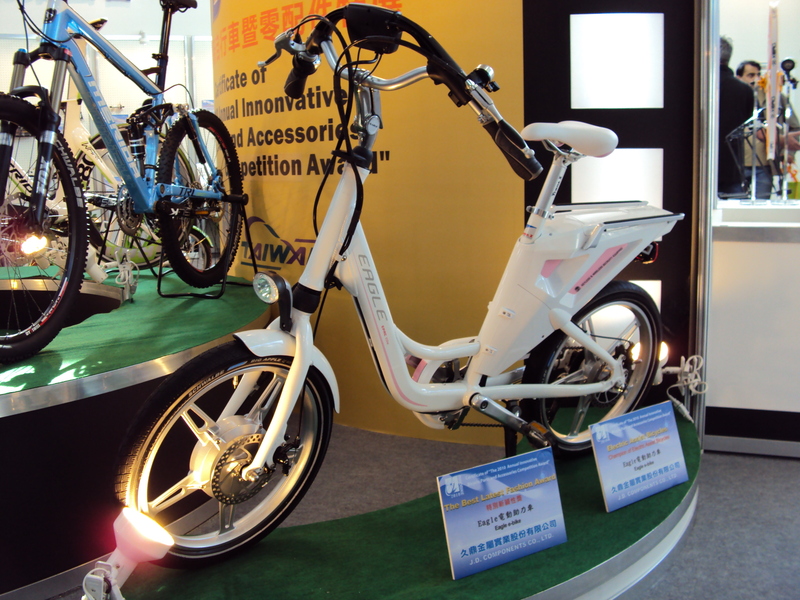 Part 2, on Thursday 17 will focus on the “trend” — although it is maybe better labelled as a “headlong rush” — towards electric bikes. Safety requirements will be the focus first up. Then the rest of the program will deal with ways in which IT is intersecting LEV development. Experts from various Taiwan universities involved in this area will give their thoughts with Q & A sessions. Each day of the show there will also be great cycling performances from the Chinese Taipei Extreme Sports Association. I hope to be able to get some coverage of that cycling in photos and video. The LEV forum is on again this year with test driving of particular models happening over the whole four days. On day 1 there will be a focus on LEV performance standards generally. There will be shift in focus to 2 wheel LEVs on Thursday 17. The next day Friday 18 and the last day, Saturday 19, will see the Lithium-ion battery symposium looking on technical and service aspects in detail.